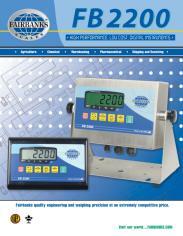 The FB2200 is Fairbanks Scales' newest digital instrument designed for basic weighing applications. 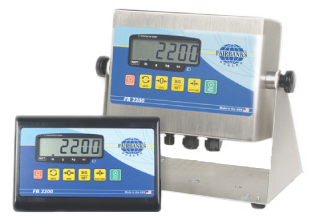 Floor scales, bench scales, tank scales, and hopper scales are just a few types of applications this instrument was specifically designed to accommodate. 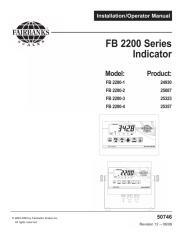 No other instrument, in the basic weighing market, can compare to the FB2200 in the number of displayed divisions or the number of load cells it can power. 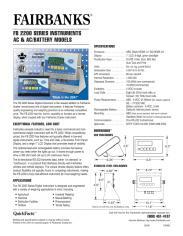 The large 1-inch height of the 6 digit display rivals far more expensive instruments.